When a movie is highly rated by critics it often ends up being a snooze feature but that's not the case with A Quiet Place. And for a movie that features giant man-eating bugs from space, it's surprisingly well grounded. It doesn't try to do what most movies in its genre by going overboard with the theatrics and jump scares. A Quiet Place which stars real life couple Emily Blunt and John Krasinski as a matriarch and patriarch of a family of four in a dystopian world who have to maintain a near dead silence so as to attract a horde of man-eating bugs that track their victims by sound. The first act starts off with a family tragedy which I thought was a masterstroke, this is a horror thriller after all. And it kept me invested going forward, wondering how many members of this family would survive the 90 minutes run time of the movie. The fact that silence was a key component of the movie made it all the more better and the use of sign language gave it a more authentic feel for me. 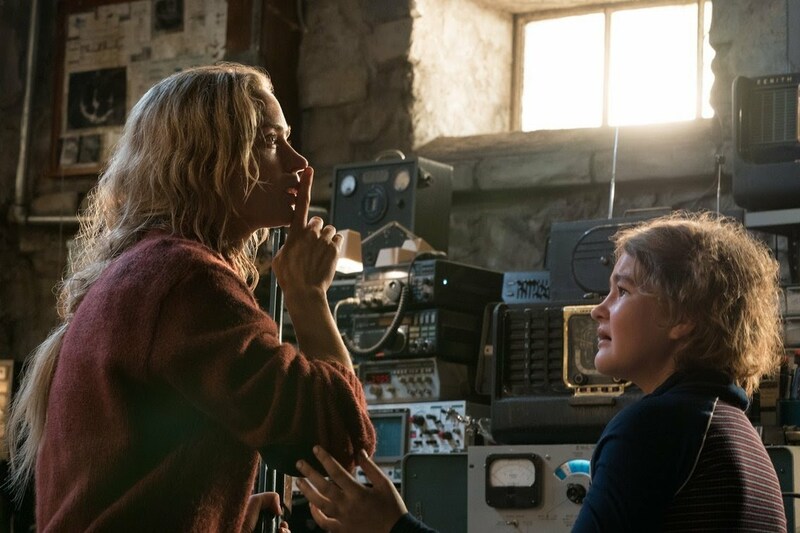 A Quiet Place is an expertly crafted, gripping and compelling horror-thriller movie not unlike Get Out. The premise of the movie works quiet well on many levels. This is one movie that immense replay value and easily earns its place in my movie collection.